One of the most popular questions we receive from pilgrims every year is: where is the start of the Camino? 1 One of the most popular questions we receive from pilgrims every year is: where is the start of the Camino? 1.0.1 Are you looking to get your Pilgrim Certificate? 1.0.2 Do you have a limited period of time to walk the Camino de Santiago? 1.0.3 Are you looking to walk an official Jacobean route? 1.0.3.0.1 1) You will qualify for the Pilgrim Certificate. 1.0.3.0.2 2) The path will be really well marked, with indications all along the way. 1.0.3.0.3 3) You will find many other fellow pilgrims on the way (particularly on the French Way). 1.0.3.0.4 4)Â There will be facilities for pilgrims on the way (Albergues, restaurants, stamps…). As we always say, there are as many Caminos de Santiago as pilgrims walking them. There is more than one route leading to Santiago de Compostela, final destination of this pilgrimage, and the starting point will depend on which one we choose. In fact, according to the ancient tradition, the Camino should be started from our own home! Are you looking to get your Pilgrim Certificate? If you want to qualify for your Pilgrim Certificate (Compostelana) after walking the Camino de Santiago, then you need to walk at least the last 100 km of any of the official routes. Of course you can walk way more than that, but 100 km waking (and 200 km if you choose to cycle) is the minimum required. Do you have a limited period of time to walk the Camino de Santiago? Some of the most popular routes of the Camino de Santiago are really long. For example, if you want to walk the full French Way, from its very beginning, you would need to devote at least 1 month to do so. Same with the Portuguese Way or La VÃ­a de la Plata.Â Please bear mind that there’s no need to walk te whole route to get the Pilgrim Certificate. 100 km is enough, and this distance can be done in 1 week approx. Are you looking to walk an official Jacobean route? 1) You will qualify for the Pilgrim Certificate. 2) The path will be really well marked, with indications all along the way. 3) You will find many other fellow pilgrims on the way (particularly on the French Way). 4)Â There will be facilities for pilgrims on the way (Albergues, restaurants, stamps…). If you are looking to walk the full French Way, then you should start in St-Jean-Pied-de-Port, in France (right in the boarder with Spain, in the Pyrenees). 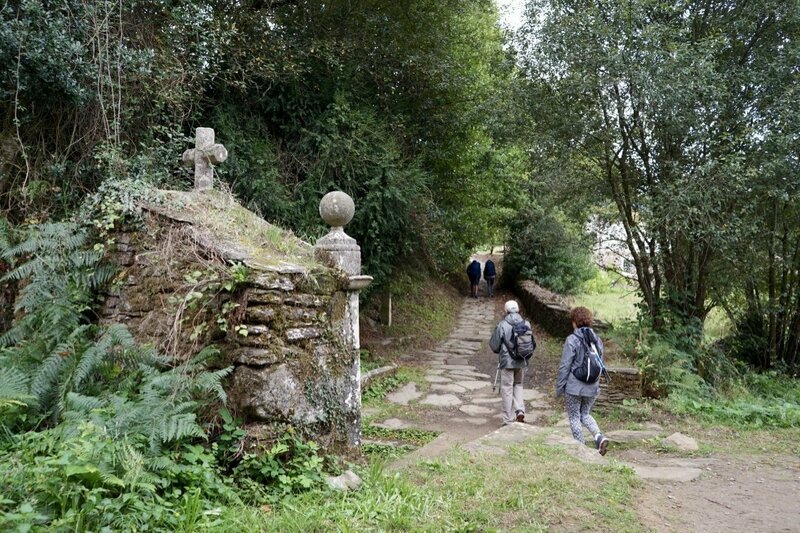 As mentioned, the whole walk would take at least one month, that’s why most of the pilgrims choose Sarria as the starting point. The KM 100 of the route is a small village called Barbadelo. It would be possible to start in Barbadelo and get the Pilgrim Certificate, but Sarria has been traditionally considered to be the beginning of the last 100 km of the French Way. The start of the Camino Portugués (or Portuguese Way) is the capital city of this beautiful country, Lisbon. Those who don’t have that much time or energy to walk more than 600 km, could start in Tui instead. Tui is located in Spain, right in the boarder with Portugal, and it is the starting point of the last 100 km of the Portuguese Way. Did you know that there is one route of the Camino that connects Seville, in Southern Spain, and Santiago de Compostela? This route is called La Via de la Plata. Yes, it looks quite estrenuos, but you can start in Ourense instead (starting point of the last 100 km of the route). This town is very popular because of its thermal spring waters, what about taking a relaxing bath before starting the walk? The English Way is one of the shortest routes: it starts in Ferrol for everyone (114 km to Santiago de Compostela). 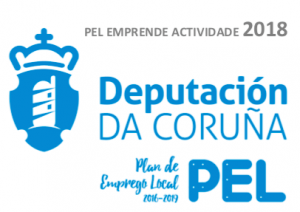 There is also an alternative route starting in A Coruña (77 km to Santiago de Compostela). What about the Primitive Way? Those willing to walk the route from the beginning, would need to devote at least two weeks, since it starts in Oviedo (Asturias). If you do not have that much time available, you can start in Lugo instead (do not forget to visit the Roman Walls before heading off). There is another long and beautiful route that will take you to discover all Northern Spain: the Northern Way. The whole walk would take at least one month (the starting point is Irún, in the Basque Country). If you are only looking to walk the last section, you can choose Vilalba as the starting point. As you can see, it is not so easy to answer all those questions about the start of the Camino de Santiago. Each pilgrim can create and organize his/her own path. Do you have any doubts about where to start your Camino de Santiago? Did you choose a different route that we did not mention? We would love to hear your stories, click here and share them with us.